Round neck pullover by LOUIS SAYN made from top-quality, summery material in 80% cotton, 10% modal, 10% silk. 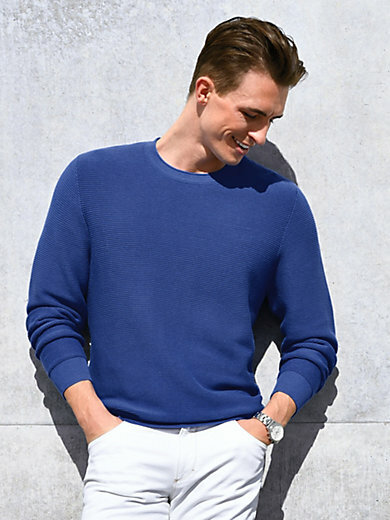 Sporty style with diagonal ribbing, rolled edging at the neckline and shape-retaining ribbed knit cuffs. The round neck pullover is machine washable.